Our lives are about to be changed by new technologies that operate on a scale too small to be seen by even the most powerful optical microscopes. Devices measured in nanometers-billionths of a meter-have set off a nanotechnology revolution. 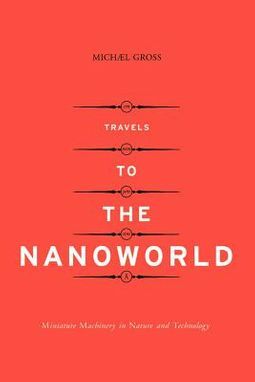 In Travels to the Nanoworld, Michael Gross takes us deep into this miniature universe and describes natural processes and new technologies that will make modern machines look like relics from the Stone Age. Starting with the model of the living cell, whose vital processes are directed and carried out by structures with dimensions on the nanometer scale, Gross shows how biochemists are beginning to understand the mechanisms of the "nanotechnology of nature." Soon science will have the knowledge and technology to generate artificial systems that will perform similar tasks, and through them will find new treatments for disease, substitutes for toxic waste, and alternatives to carbon fuel.